Hmm~ I can so called a part of hijab collector. Hahaha. But, usually, I will be collecting any Limited edition shawl or scarf from various of hijab brands. In the past, when we said " hijab ", the first thing will come out from our mind are the square type of scarf or hijab, right? As time goes by, recently, various of hijab style we can find and wear confidently to suit with our own fashion. So, let see, what are the types of hijab that we can wear to suit with our outfit or fashion. This is the oldest and still standing hijab style all time. Hahaha. I guess it the most favorite one. Technically, this hijab easy to style up with any outfit. You can even be donning the square hijab looks like a shawl. Square hijab can be suited with either work attire or formal attire or even casual attire. But, to get the different looks the selection of the square hijab material is the main thing to makes you look presentable on every occasion that you need to attend. You even can choose either plain or printed square hijab depends on your outfit. 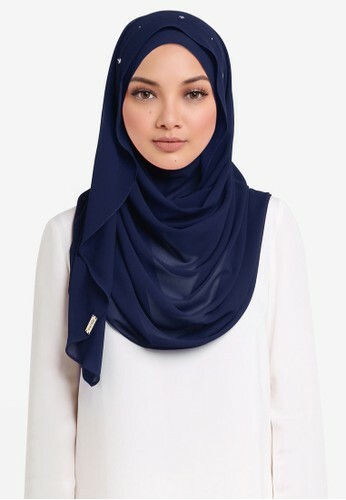 Square hijab also is known as bawal scarf. 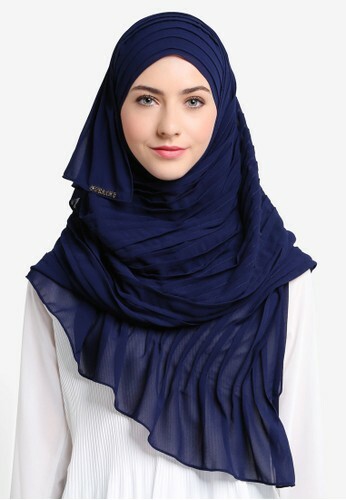 This shawl hijab keeps expanding the style day by day, years by years. I mean lots of style or materials of this hijab you can buy out there. Truthfully, I am a fan of shawls. I do collect some of the limited edition shawls from some brands. I really love to wear shawl because it can be style up depends on my comfortability, outfit, and event that I need to attend. Sometimes, I can just style it up by wrapping around my neck without a pin ( if the shawl material is cotton). If you wear a hijab shawl from chiffon or satin silk material. You must wear an inner that cover your neck as well. Then, only you can style up so called " effortless " hijab style. Aha~ Shawl also can be style up as a turban too. This hijab style really suitable for women who are always in a rush. It also suitable for whoever needs a "pinless " hijab style. As for semi instant shawl, you still need a pin to complete your style. I don't really like an instant shawl because I have a small face. Whenever I wear an instant shawl I still need to use a pin to secure my shawl. In my case, I guess it can't be called as instant shawl anymore. Hahaha. 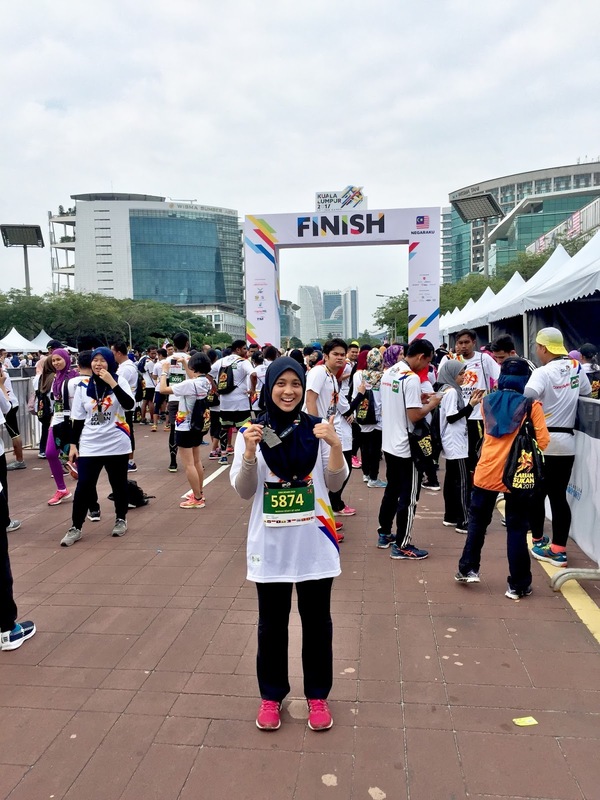 But, I do own two instant hijab which I will be wearing it for jogging or swimming. I feel much easier to wear an instant hijab for both activities. Hmm~ so, there you go, all time everyday hijab style I can ever share. Hihihi. If you wanted to get those hijab styles easily. You can visit here to get any of hijab from various of brands that suitable for you. 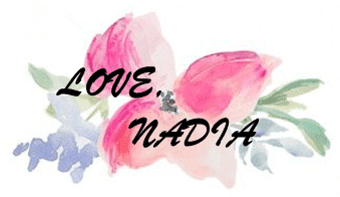 Happy styling up and thank you for reading.